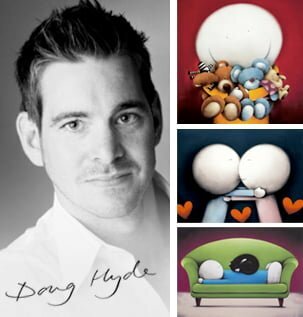 Home » Blog » Style » Abstract » Simon Kenny – Illustrating The Emotion Within Us All. Simon Kenny’s attention grabbing, multi award winning, astonishingly vibrant work has won him both national and international acclaim. With his highly personal style described as ‘lyrical abstraction’ and comparisons made to that incredible master of light, Turner. Not to mention Stephen Hawking describing his work as ‘look[ing] like everything about space I cannot explain’. his work is truly deserving of further inspection and we are thrilled to be able to present his incredible imagery here. Simon Kenny was born in Dublin, Ireland in 1976. His undeniable artistic talent evident from a very early age. He was offered a place at Canterbury Art College at the tender age of eleven. However, at such a young age the idea of of the additional workload and pressure proved to be off putting and he chose to decline. Heralding from an artistic family, who made every attempt to support and encourage his burgeoning talent. Simon recalls spending idyllic summers in the south of France where his grandparents lived in the seaside town of St Jean De Luz. His grandfather was an artist himself and used to take the young on sketching forays of the local landscapes and architecture. Previous employment included a stint in the building trade managing a renovations company. For nearly six years he worked in the role of director and designer within his bespoke furniture company that he started from scratch. Throughout this period art had taken a backseat, done in his spare time at the weekend and in the evenings. However, it took only two commissions to persuade him to turn professional and he hasn’t looked back since. Instantly recognisable, Kenny’s exciting and colour saturated images are powerful and thought provoking. Born mainly of his imagination, inspiration for work can strike from something as simple as a piece of music. A name or merely just an idea. Next follows considerations of shape and texture, as well as areas of space that are carefully mapped out to draw the eye. Not until this groundwork is completed does the colour for which he is renowned begin to take shape upon the canvas. A period of slowly transitioning paint into cloud shaped. 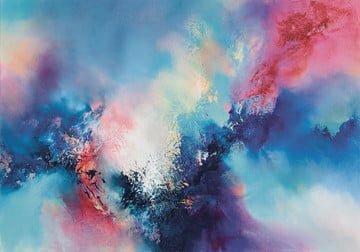 Dreamlike apparitions follows, culminating in, ‘an emotionally charged swipe with various palette knives bringing out the 3 dimensional viewpoints’. Then finally finishing with a period of reflection and adjustment before completion. ‘Then I sit and stare at the painting for many minutes, sometimes very long minutes, at times even taking photographs to see how things look on camera just to get another perspective. If I’m not happy I’ll highlight or lowlight until things stand out as I want’. He aims to create pieces that illustrate the thought processes he undertakes when engaging with the world around him. 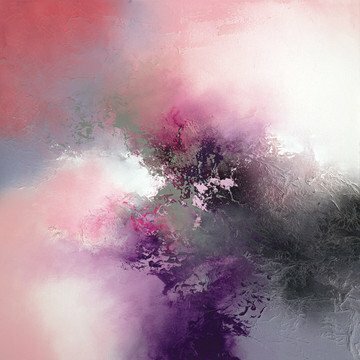 With the intention that each individual view will create their own unique and highly personal response to the work upon viewing it. Whether that might be a recollection of a memory long lost, a deep emotional response or even a spiritual connection. Simon tools are the brush and the palate knife. Utilised together to construct subtleties and gradual alterations in colour. Final work is mostly carried out in oils, because of their softness and unique blending ability. Simon also works in acrylics appreciating their vibrancy and faster drying times. He often works by completing an underpainting in acrylics before finishing the piece in oils. Understanding the paint that he uses is absolutely crucial to his process. He describes a lengthy investment of time into learning how best to utilize glazes, texture, light and colour to best serve his purposes. Believing, as he does, that artistry stems from a combination of total confidence alongside a complete mastery of the tools and materials at your disposal. He fully admits to still considering himself a student of his discipline. Like all great artists continues to learn and expand his repertoire though the process of deepening understanding. Enormously popular and highly collectable. Simon’s captivating and dramatic imagery is held in both private and corporate collections all over the world. As well as featuring in many numerous exhibitions and galleries including the Saatchi Gallery. 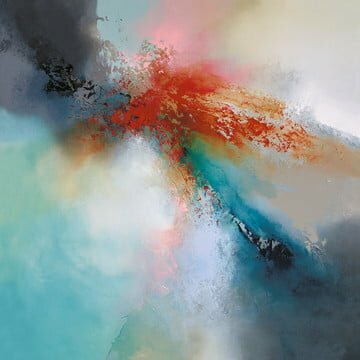 We are delighted to share with you a stunning collection of Simon Kenny’s boxed canvas prints on Collectors Prints.